A lot of people nowadays are constantly looking for faster and easier way to lose weight. One of the popular ways to lose weight is to consume protein shake. It is one of the most recommended weight loss tips for men and women. However, there are several questions that should be answered by medical experts. Are protein shakes appropriate for your diet? What are the ingredients that will make you lose weight? What are the different types of protein shakes? Is protein shake really beneficial? Protein shakes can range from 100% protein to mostly carbohydrates with a little added protein and fat. They come a variety flavors in powder form or in ready-to-drink packages, such as cans or foil packs. The average adult needs 46 to 56 grams of protein a day, depending on weight and overall health. Protein shakes comprise of powdered forms of protein like soy or whey, which is a by-product of the cheese-making process. Flavoring is added to the powder so that when it’s blended with milk or water, it resembles a milkshake-style drink. Protein shakes use different types of protein in varying amounts. They may include: milk, rice, casein, whey, soy, or egg. The protein source and how it is purified during manufacturing may affect how well your body can use it. While it's best to get protein through your diet, adding it with a combination of whey and casein is a good choice, as long as you tolerate dairy well, since both come from milk. Soy protein is another selection you can make. It's a plant-based protein. It's as effective as most animal sources of protein, Antonio says. Soy is also rich in nutrients. If you don't consume a lot of protein-rich foods, drinking an occasional shake can help you get enough of the nutrient. It is important that you get an adequate amount of protein because it can actually lower the risks of osteoporosis and joint problems. If you constantly working out, protein shakes will help in rebuilding your muscles. Protein shakes allows you to control your fat and calorie intake, which is beneficial to weight management. Portion control is a major problem for many people. A lot of protein powders have controlled portions of calories, fat, protein and carbohydrates and, thus it makes your job easier to lose weight. Consuming protein shake as an occasional meal replacement may help you lose more weight and fat compared to reduced-calorie diet plan. According to the American Journal of Clinical Nutrition, high-quality proteins are more quenching compared to either carbohydrates or fats. Also, they may have the ability to improve the body’s metabolism. In addition, a study published in the journal “Nutrition & Metabolism” in 2008 detailed that obese women and men lost more fat when they drank two protein shake meal replacements per day and followed a low-calorie diet. Subjects who followed the diet without the shakes lost less total body fat and more lean muscle mass. However, the study did not take nutrient deficiencies or diet balance into account. Trying to consume a high amount of quality protein from solid food can take a lot of preparation and can be quite time consuming. For those situations where you have a tight busy on almost everything, a protein shake offers the luxury of quality ingredients in a convenient package. 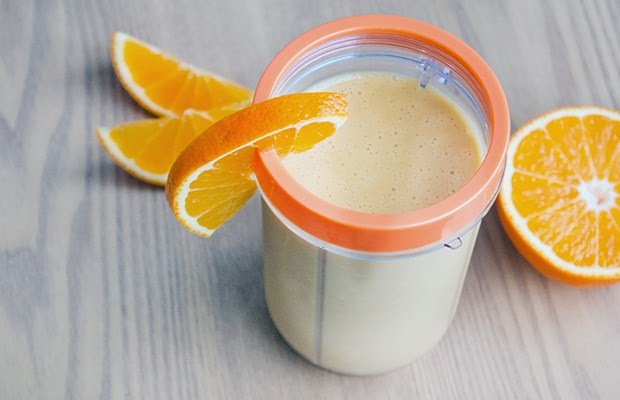 Home-made shakes and even commercially sold shakes that are made from fresh fruits, vegetables and natural proteins deliver essential vitamins and minerals without sacrificing taste. Protein through shakes or food is classified as an essential nutrient. It means that it performs tasks that are necessary for your body's daily functioning. For example, the U.S. Department of Agriculture (USDA) states that proteins build and repair skin, blood, bones, muscles and cartilage. Remember that if you want to lose weight, you must first check your health condition by seeing a doctor. If the doctor recommends to intake protein shake, that's the only time you're going to consume it for diet plan. You don't want to have any health issues in the long run. It's better to consult an expert before doing any plans of losing weight, they know which one is suitable for you. Helena Bradley is a health and fit enthusiast. She takes running seriously and stick to a strict diet. Helena is currently doing her graduate studies on Creative Writing.